Home / News / May the 4th Flash Sale! May the 4th Flash Sale! We’re celebrating Star Wars™ Day this year with a flash sale on some of our most popular Star Wars creations! 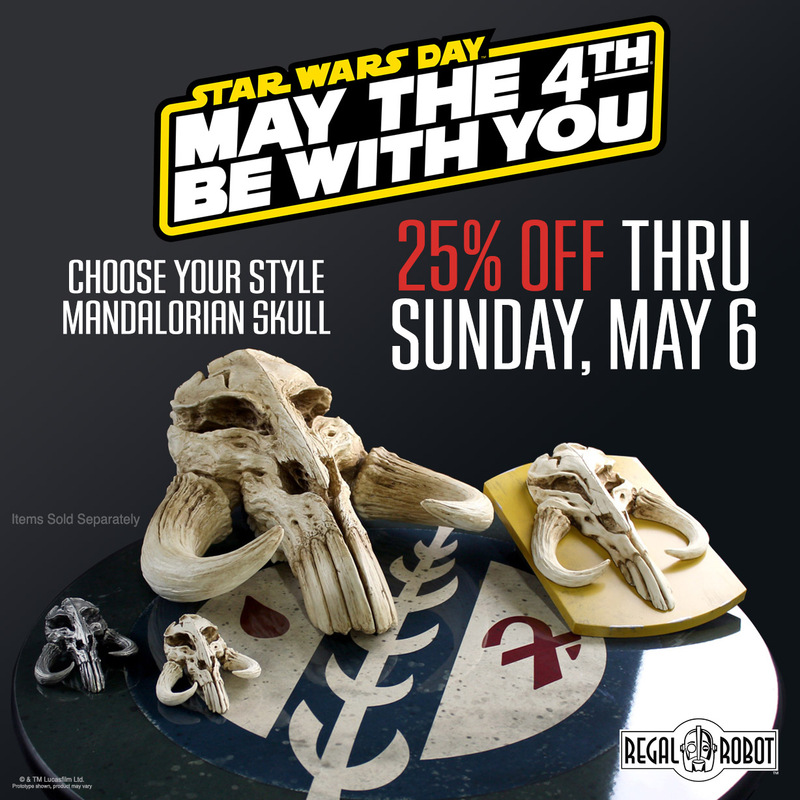 This weekend only, use coupon code: MAYTHE4TH and you can save 25% on all Star Wars™ Cafe Tables and our complete line of Mandalorian Skull sculptures! This FLASH SALE only runs for a few days, so be sure to get your order in before it expires at 11:59 PM PST May 6th, 2018. Save on Boba Fett inspired sculpture and decor! This offer includes our official Star Wars™ themed cafe tables and full line up of Boba Fett inspired Mythosaur (or Bantha, if you’re old school) styled Mandalorian Skull sculptures and decor! 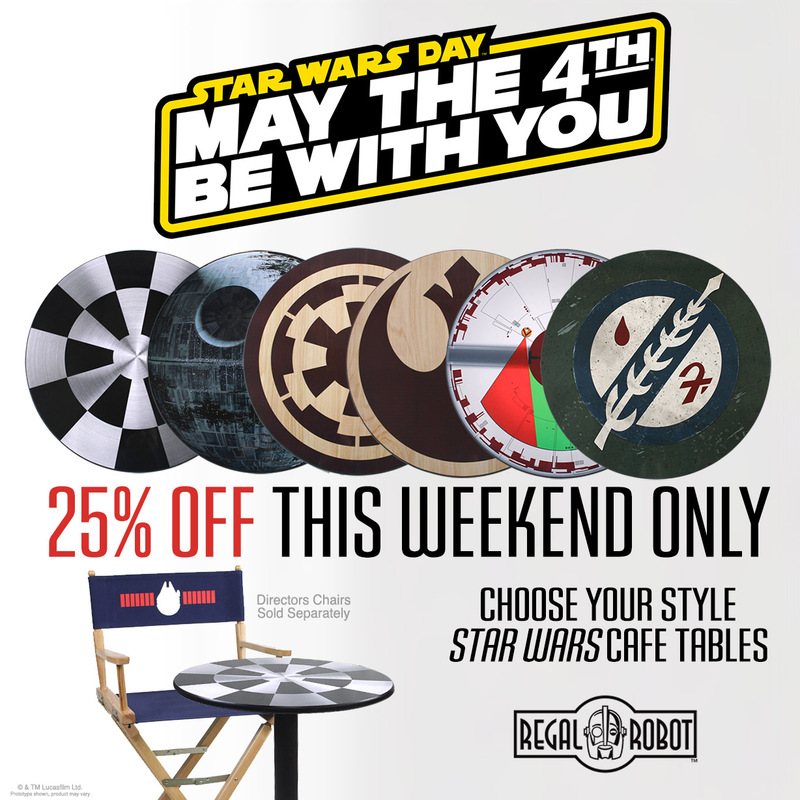 Our May the 4th sale includes all Star Wars themed cafe tables! The coupon code MAYTHE4TH is required. Coupon does not apply to shipping costs. You can see our site’s Payment, Shipping and Returns page for further details and standard restrictions regarding coupons and discounts.